Live music, beer, wine, and the region’s best restaurants, bakeries and caterers showcasing their mouth-watering dishes all in one place and special day. 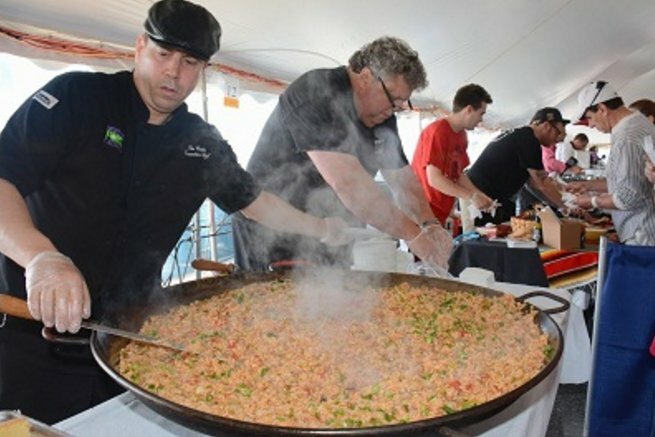 The 11th Annual “Taste of SouthCoast” Festival is scheduled for Sunday, May 21st, 2017 from 12:00pm-5:00pm on Pier 3 in New Bedford’s Historic Waterfront. The “Taste of SouthCoast” features restaurants, bakeries, and caterers from the SouthCoast area. Participants serve sample sized portions of their signature dishes from noon to 3:15pm. Tasters will be able to keep track of their sampling and cast their votes in the categories of “People’s Choice Award for Food”, “People’s Choice Award for Dessert” and “Best Booth Presentation”. The tasting wraps up by 3:15pm. The votes are tallied and the awards are presented by 4:30pm. The fun continues until 5:00pm with live music all afternoon. Beer, wine and soft drinks will be served until 5:00pm. The “Taste of SouthCoast” is hosted by New Bedford’s own Friendly Sons of Saint Patrick and proudly sponsored by Pier Fish Company.